By now you’ve probably heard it’s Restaurant Week. It seems like just about every third tweet in our Twitter feed is talking about a completed or upcoming RW reservation, and most local food writers have already offered their recommendations, or a list of participants’ menus, or a passionate argument for or against the concept and/or its execution. Some have even taken to recycling previous years’ recommendations, as the song remains (mostly) the same. But we’ve been a little bit distracted this year, and so we haven’t embraced Restaurant Week with the anticipatory fervor we have in the past. Sure, we made a reservation. But there are so many more meals between now and then that we could be using to experience new restaurants or revisiting old favorites! This got us thinking: what if we just heard that Restaurant Week was going on today? Would there be any prime reservations available at all? As it turns out, there are. A quick search of the OpenTable participant list conducted today at noon for a 7 PM reservation tonight yielded 121 restaurants with availability! Sure, it’s Tuesday night and not Friday or Saturday, but that’s still a pretty healthy list of options to choose from. And there are still a number of available “four dollar sign” restaurants (mostly steakhouses), which represent the greatest value for a Restaurant Week meal relative to regular prices. But what about the marquee nights? 100 restaurants with availability at 7 PM on Friday, including popular options like AGAINN, Cafe Atlantico, and Indique Heights. 107 restaurants with availability at 7 PM on Saturday, including Agora, Kellari Taverna, and the Oval Room. There are definitely choices (including some highly recommended options) still out there, so don’t worry if you’re late to the Restaurant Week game. We’ll check in again on Thursday to see what the weekend holds, but don’t wait until the last minute if you see something you want to lock in! When we reached out to the Restaurant Association of Metropolitan Washington for confirmation earlier in the week, they asked us to take down the post until Friday. We agreed, and I called back this morning hoping to get the official word on Summer Restaurant Week. They couldn’t confirm because of technical difficulties with the website, and I completely understand why they wouldn’t confirm until the site is live and accessible by all. 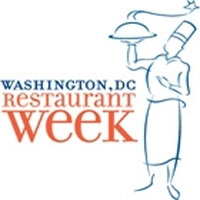 In their opinion, releasing the dates and the restaurants all at one time through one outlet gives everyone involved in Restaurant Week – the participating restaurants AND the diners – the best opportunity to make the most out of Restaurant Week. There’s lots ofanticipation leading up to the announcement of each Restaurant Week, and they try to make sure that everyone has an equal chance to take full advantage of this great deal. Considering the fact that we’ve talked about the strategy of speculative reservations before, that makes a lot of sense. to RAMW in the first place. 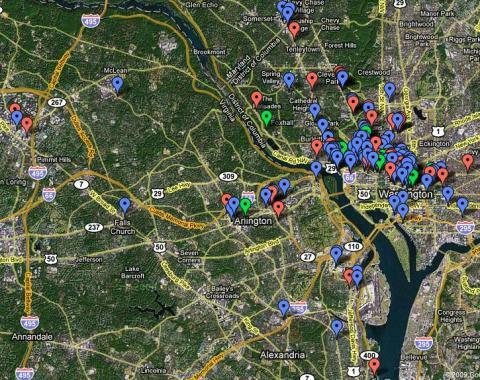 Click on the image to go to our Google map that locates every restaurant participating in DC's Winter Restaurant Week 2010. Last week, we gave you the heads up as soon as Washington’s Winter Restaurant Week listings went up. The announcement caught us off-guard…the Restaurant Association of Metropolitan Washington did a nice job keeping the dates of this year’s event under wraps until they were ready to let everyone know. We took advantage of some unexpected downtime during Saturday’s Snowpocalypse to do our usual trick of putting all of the participating restaurants onto a Google map. You can use it to see if your favorites are participating, or check out a neighborhood and see how many Restaurant Week deals you can score in a six block radius. It’s yours to do with as you please. As you look at the map, you’ll notice that there are some real treats participating. Of course, some continue to confound us with their Lunch Only participation – it’s just SO hard to get away for a decent three-course lunch when your full-time job expects you to be working. Even so, we’ve seen a few newcomers and some old favorites on the list that are going to make this another good time for DC diners. These days, you’ve got plenty of us food bloggers working to gather the participating restaurants’ menus. DC Foodies are the originals when it comes to this, but you’ll probably see some reporting from Brightest Young Things and Dining in DC among others. We’ll stick to the map-making. Check back as Restaurant Week approaches early next year – while some of the menus are already getting out, most won’t be finalized until the week or so beforehand. But don’t wait to book your reservations; you’re going to have to gamble if you want to score a reservation at any of the more sought-after participants. We’ve already given you some tips to make your choices, and we definitely encourage you to make use of OpenTable (hence the links on our map) for reservations and UrbanSpoon for aggregated reviews. We’ve already got a couple of blue chip reservations locked in. DC Winter Restaurant Week 2010: Surprise! The List is Already Up! It’s that time of year again. Without a Presidential Inauguration to delay this year’s Winter Restaurant Week, it’s definitely snuck up on us. If you were counting on us to give you advance warning like we have in the past…our bad. The list of participating restaurants was posted this morning, and Hungry Hungry Hipsters are already out there booking reservations. 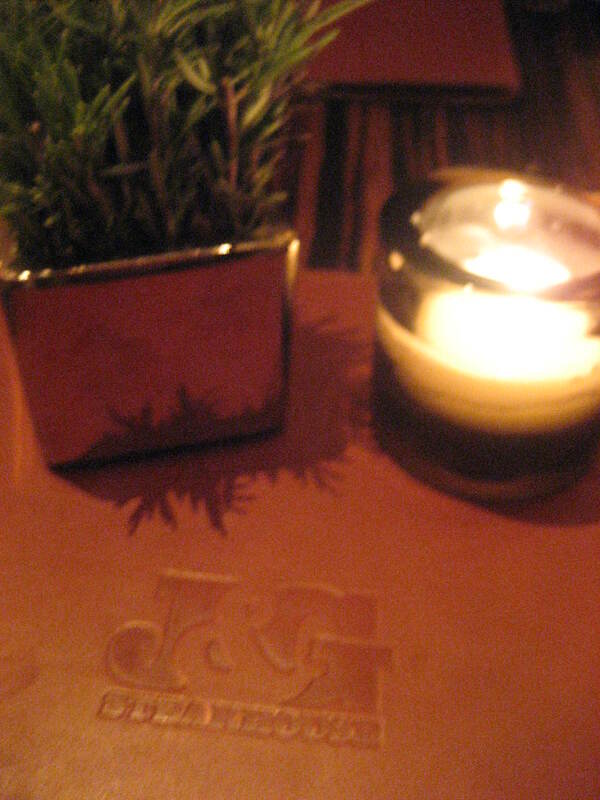 Because this is the first Restaurant Week of 2010, prices creep up by another penny. Three-course lunches will run you $20.10 this time around, and dinners will set you back $35.10 for three courses. Do your homework. Don’t book a reservation at a place that regularly offers a similar deal. Do some scouting work and find a place that sounds appealing, then check to make sure the deal really is. (NOTE: Once menus start coming out, look out for upcharges that significantly alter the deal). Be flexible. EVERYONE wants a Restaurant Week reservation for Saturday night around 7 PM. Try to snag one ASAP using OpenTable, or set your sights on a mid-week dinner. Either way, be prepared with two or three choices to hedge your bets. Be adventurous. Try a place you’ve never been but always wanted to. Or check out a place you’ve never even HEARD of. Either way, it’s a better use of the Restaurant Week experience than a trip to your favorite steak place. Think new. We’re always excited to see new restaurants jumping on the Restaurant Week bandwagon the first time around. Kellari Taverna and Bibiana both jumped out as first-timers, and I’m sure we’ll find a few more as we dig deeper into the list. As always, we’ll be posting our signature Restaurant Week map for your reference so you can plot out your plan of attack. We’ll also have some recommendations – just as soon as we’ve got our own reservations locked in! In the meantime, let us know where you’ll be going when you book your Restaurant Week conquests…we’re always looking for a few good recommendations.